People typically display their admiration for a loved one by way of roses or chocolates this month. However, around the Company, Disney employees are finding more meaningful ways to spread love and compassion to kids, communities and organizations that need it most during Compassion Month. Alongside providing tools that’ll encourage patients to dream and imagine, Disney’s grants to CLC—which have now surpassed $1.5 million—enable the organization to advance their research and expand their reach to a greater number of children’s hospitals around the globe. From funding its annual International Summit to supporting outreach efforts, Disney works with CLC to elevate the child-life field and share the benefits of play with children who are coping with serious illnesses. The Walt Disney Studios is also showing its love by hosting the first-ever “February Film Festival” through Disney Movie Moments, a flagship program that brings first-run movies to more than 40 children’s hospitals across the U.S. In addition to the first-run films, a selection of beloved Disney titles like Cinderella and The Muppets, will be released to the hospitals participating in the program each week in February. Disney is the first studio to create a program of this kind, underscoring the Company’s commitment to children. 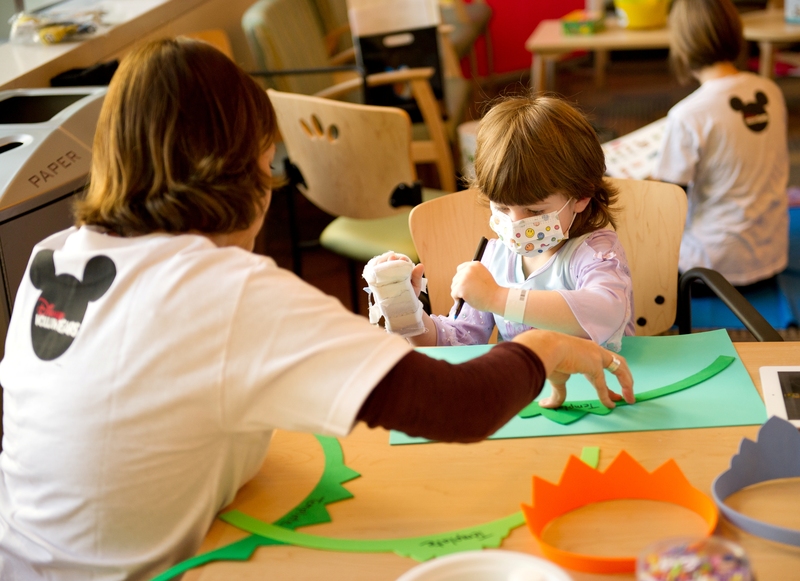 Around the world, Disney VoluntEARs organize fundraising activities for hospitals like SS. Giovanni e Paolo Hospital in Venice, Elpida Children’s Hospital in Athens and Princess Margaret Hospital in Hong Kong. And at the Great Ormond Street Hospital in London, Baymax from Disney’s latest action-packed animated adventure Big Hero 6 is taking some time out of his super-hero adventures to meet children and families at five hospitals across the United Kingdom. Children can also watch the film during a special event, which includes a variety of entertainment like magic tricks, balloon modeling and face painting. Make-A-Wish is another organization that Disney is working with during this Compassion Month and beyond. For more than the past three decades, the Company has helped grant nearly 100,000 wishes globally. 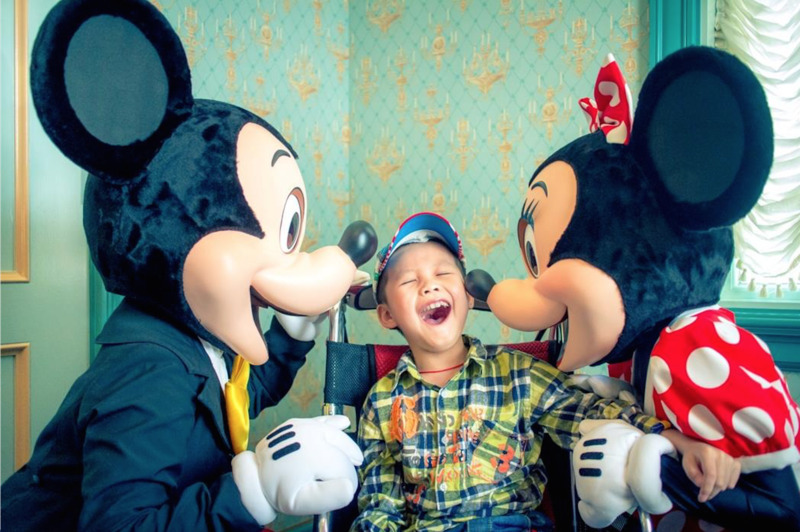 This year, Disney is making a $1 million capacity-building grant to the organization, which will help provide the highest-quality wish experiences for children around the world. In fact, a Disney wish accounts for nearly one out of every two wishes granted! 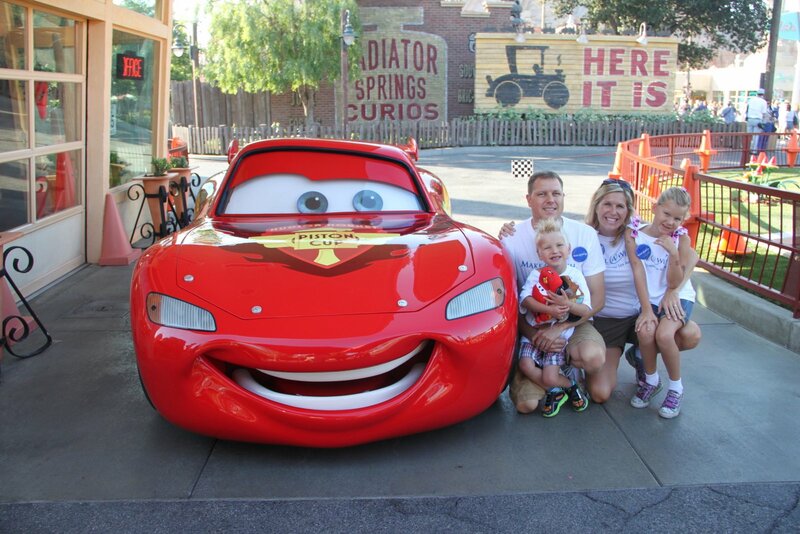 Together with Make-A-Wish America and Make-A-Wish International, Disney can continue its legacy of positively impacting children and families around the world.